This novel luminous flux measurement solution provides you with all the answers you need – just take a measurement inside any of the GL integrating spheres and check the Radiant Power emitted by the lamp. The values in lumen and mWatts are automatically provided by our Spectrosoft Analysis software together with all photometric and colormetric values like color temperature, CRI, TM-30 and other essential metrics. 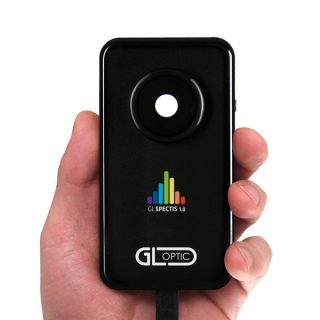 Depending on your application you can choose our compact and practical GL Specits 1.0 or GL Spectis 5.0 laboratory grade spectroradiometer. Pair this with the Opti Sphere 500, 1100, 2000 or even the 3000 to get a system solution you can rely on depending the size of product you need to measure. Our spheres produce results with precision you would normally expect only from highly specialised laboratory equipment, in a form that can fit into any space you have. Whether you import or develop retrofit or new LED fixtures there are always many questions which you need to find answers to. What is the real performance of replacement LED lamps? Are they bright enough to suit my needs? 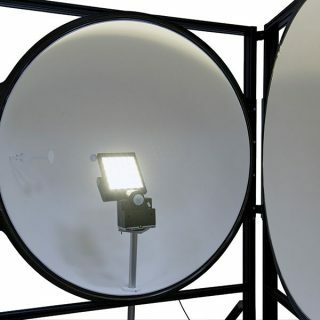 What is the color temperature of the bulbs or their CRI and how efficient are they? Are the values declared by my supplier true? Our luminous flux measurement solutions answer those questions for you with high precision of absolute values measurement of 2%. The GL Spectrosoft software included in the package is intuitive, user-friendly, delivers results within seconds and features easy export and import functions. 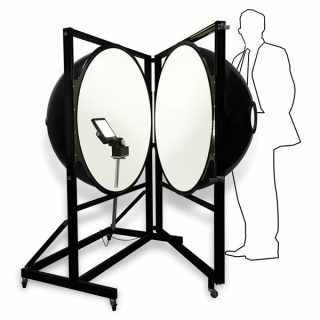 It will also guide you step-by-step throughout the entire light measurement process. From mid-sized integrating spheres that can be easily moved and installed on your desk to room size 3M spheres for testing of large strip lights and luminaires. We have you covered and delivery results conforming to the highest measurement standards. 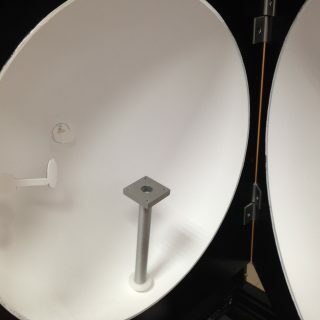 Our plug and play luminous flux measurement system takes only seconds to connect with a computer. The included set of typical lamp sockets, or adjustable sample post/mechanical stage make it a simple solution for various measurements. The system automatically detects installed accessories and is ready to carry out measurements. Individual instrument calibration comes as a standard so you can be absolutely sure that the produced results are correct. Who is our solution for? Our complete luminous flex measurement system includes a GL Spectis 1.0and your choice of integrating sphere from 48mm to 3000mm are desinged to meet the most demanding lab environments for luminaire manufacturers and developers. 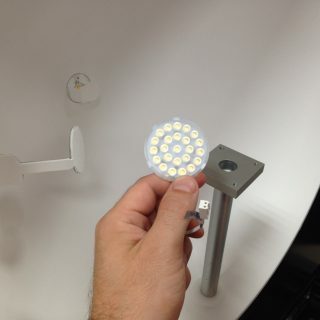 The modern approach to LED lamp measurement system recommends the use high reflectance coating spheres in combination with a spectroradiometer measurement instrument. 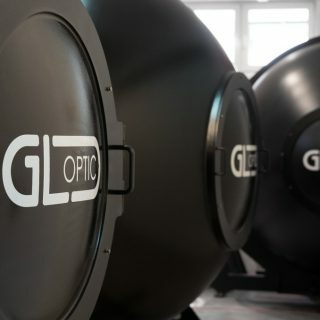 At GL we provide a complete instrument system which follows the requirements of the latest CIE and IES recommendations on sphere spectro-radiometer systems. Our spectrometers are individually calibrated as a system with the integrating sphere. The sphere is covered with high reflectance coating and equipped with an auxiliary light source for self-absorption compensation. All this is controlled by PC and our Spectrosoft tool guides the user through the measurement process. It allows for quick final product measurements and verification of standard compliance. We cover all European and American standards for LED light measurement in a user friendly way. When measuring LED lamps and modules in an integrating sphere it is common to require temperature stabilization and measurement as required by the standard. To meet this need, we offer TEC controllers and mounts for LED modules which allows for to stabilize surface temperature at a specific level or simulation of working conditions. This is an extremely useful system for LED modules manufacturers and importers for fast and reliable LED product performance verification. More information about TEC controllers here. The products below can be configured together in different combinations as required by the application. 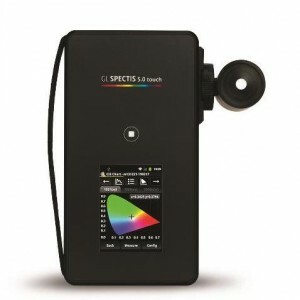 Laboratory grade, extended range Spectis 5.0 Touch smart spectrometer. This high performance instrument can be used in accredited laboratories, scientific and R&D departments where characterizing outside the visual range is needed. Our compact integrating spheres are not only made for installed in laboratories, but are also equally suited to free office space or production rooms where quick and accessible light measurements are needed. Complete measurement set including accessories for lamps and modules installation and controller for self-absorption compensation. USB connection to PC based Spectrosoft software. The Opti Sphere 500 integrating sphere was designed to accommodate complete optical measurement of LED retrofit / replacement lamps with typical sockets like E27, E14 GU10 and others. By default the Opti Sphere 1100 is equipped with the a mechanical stage that can be adapted to mount many different fixture and LED module types. An optional lamp post installed in the center of the sphere makes it easy to install different type products. Our large integrating spheres are designed to bring full scale laboratory measurements to any lighting company and delivery results in conformance with LM79 and CIE025 standards for luminaire testing. 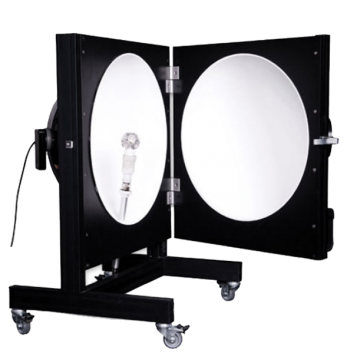 Ideal for development labs or quality control departments to product better and more reliable lighting products. 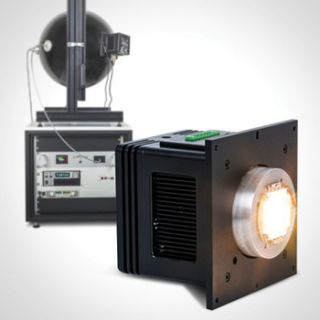 The Opti Sphere 2000 and 3000 integrating spheres provides complete optical measurement of LED Luminaires and strip lights with standard mechanical stage to accommodate a wide range of fixture types.